Whether you're a brand new parent/caregiver who is thinking of using a baby carrier for the first time or a seasoned babywearer, hands-on instruction can help. Workshops are held multiple times a month and registration is per person unless listed otherwise. All Individual Sessions include up to 2 adults. Group Sessions must have a minimum of 3 people learning to carry. All classes are designed to last between 1 - 2 hours. 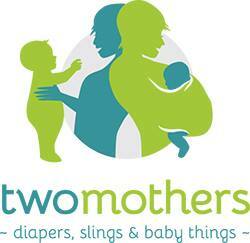 Babywearing workshops are $20 per adult. Workshop prices may vary according to subject and exceptions will be listed below. Preregistration is required for all workshops. A tailored version of "Babywearing 101", this class will address the individual carrying needs of the families present. We will also discuss the characteristics and effects of normal baby behavior, of lactation and feeding, as well as parenting ressources around Edmonton. This class teaches the basic principles of getting baby on your back, and how a secure carry will look and feel. Participants should be familiar with front wrapping by the time they register for this class. Short wraps or long ones may be used to learn back wrapping.This class is restricted to participants with children between 6-18 months. Exceptions are given but please include your individual circumstances in your registration to see if this class will be a good fit. The carries taught in this class will be determined by the participants during class. Front wrapping, hip wrapping and back wrapping carries will be offered according to the needs discussed and all sizes of wraps are welcome. For back wrapping, this is not an introductory class so if participants are not comfortable with basic back wrapping already, we not include back wrapping or that portion will be observation-only. Were you given a carrier you have no idea what it is or how to use? Maybe you bought a carrier for a previous child, tucked it away and now forget how it works. Perhaps you don't feel like your baby is secure in the carrier... or want to know how to wear your carrier on your back? This class is drop-in and designed to teach you the necessities of your carrier. There will be no class format - just come with a carrier and I will teach you a safe way to use it. Max 2 carriers per family. Please note: Back wrapping and advanced wrapping are not available. The fee for this class is $40 per household. Any special subject workshops will be announced on Facebook. Individual Sessions are $50 and Group Sessions are $30 per participant. These sessions are able to be customized. Learn the principles of safe babywearing, the different types of carriers and how to use them properly. You will also get to try on different carriers and see what might suit your family best. You may have learned a basic front carry (or two) in your woven wrap, but you want to learn more! This may be because your baby is not ready for back carries but you're getting bored with the same old carry, or because you're feeling some discomfort with your go-to carry and want to distribute the weight differently. Either way, you can learn some challenging new carries to use with your existing wrap. Practice the carries yourself with hands-on instruction. Learn the principles of safe back carrying, how to lift baby onto your back, and how to do a ruck (if using a woven wrap). Practice back carrying yourself with hands-on instruction. Feeling like your wrap has become too much fabric to carry around? Learn how to use a wrap that's short enough to use as a scarf, but long enough to comfortably wear your baby or toddler in! This can include front, back or hip carries and practice time will be given to learn several carries during the session. Do you, your partner and grandma all want to learn about baby carriers? Or maybe your moms group wants to learn to back carry. If you know 3+ people who all want to learn one of the categories above, you can do a group session! I bring select items from my Teaching Stock. With a wide variety of all carriers - from ring slings, to buckle carriers to wraps - there is sure to be something new to try! Let me know if you have any special requests, and I will be sure to bring things we will find useful. My daughter may attend our session - I will make sure you know this at the time of registration. This is how I harmonize to my desire to teach babywearing while responding to my family's needs. Due notice will be given if rescheduling is required due to poor health. After our session, I am available for future help including finding a new carrrier, any babywearing questions or subsequent sessions. I am always open to private and public feedback from you. Is There Anything You Should Do? Yes but it's pretty easy! You just have go easy on yourself! Private sessions typically take place in your home. Being a parent is overwhelming. At the end of the day, you are doing the best you can. A messy home, a cranky baby or unkempt hair is nothing I have not seen before. In fact, it's probably what I was like just before I arrived at your house. So don't sweat it! I believe that children's needs should be responded to over the needs of the session. If your child needs to be fed, it can be done wherever and however you feel most comfortable. I am accustomed to seeing children nurse while uncovered, covered, with a shield, or a feeding tube, or even while performing "gymnurstics". I am equally accustomed to seeing children feed from bottles, from a nursing supplementer, from a spoon or cup, or by their own hands. If you don't have the hang of feeding your baby yet, that's okay. I have been there. Please respond to your child's needs as best you can. Please try to cancel 24+ hours in advance, unless due to a medical emergency. Last-minute cancellations may be subject to a fee.